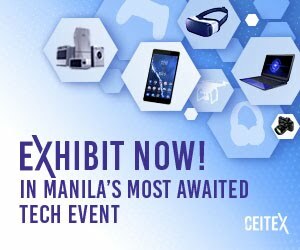 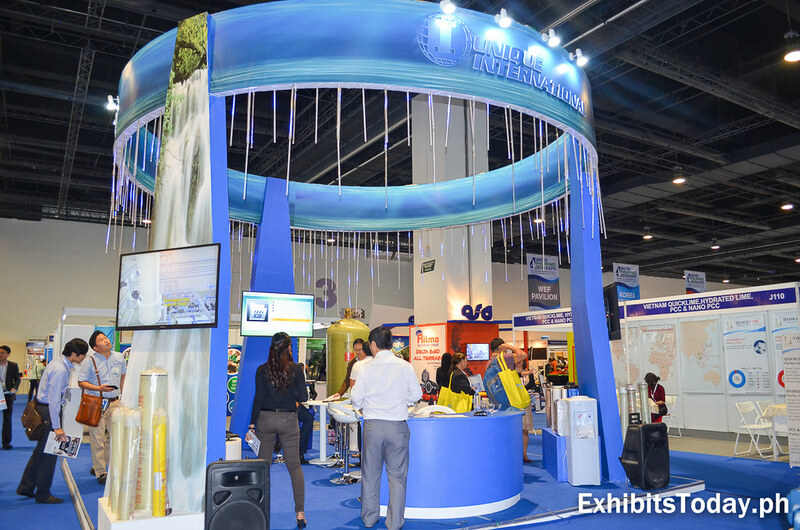 With the theme, "Securing, Shaping and Greening our Water Future Through Innovation", the grand opening of this reputable trade show event for the water industry is officiated by the Honourable Senator Ralph Recto as the Keynote Speaker. 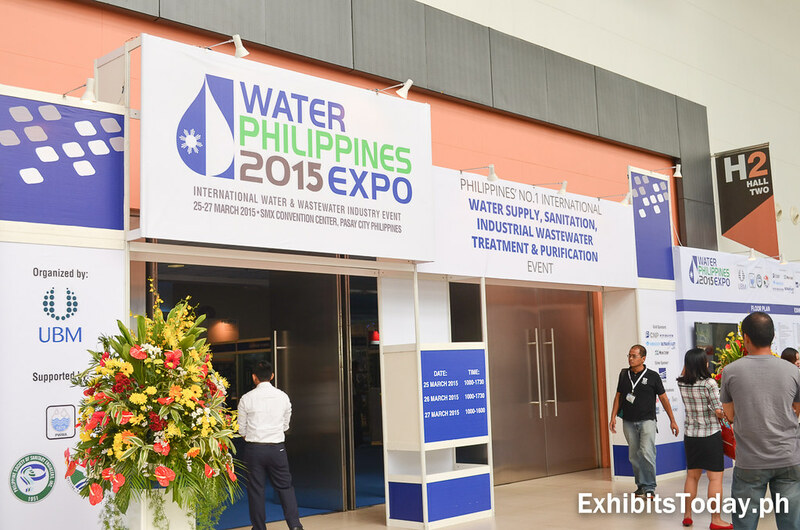 "So please let us have more meetings like this, more expositions like this, and more advocates for clean water like us to pressure our government that when it comes to the basic human right of access to clean water, it cannot wash its hands of this responsibility. 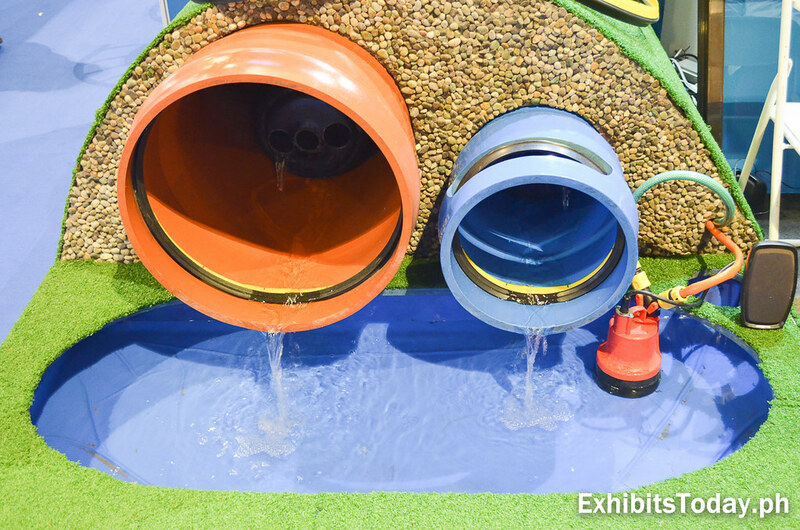 There is a Chinese saying which says – We only know the worth of water when the well is dry. 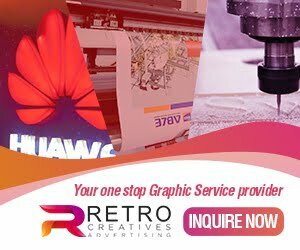 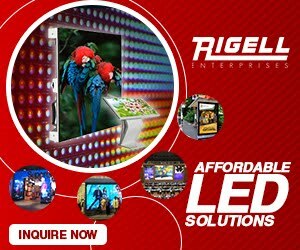 Let us make sure that it won’t." 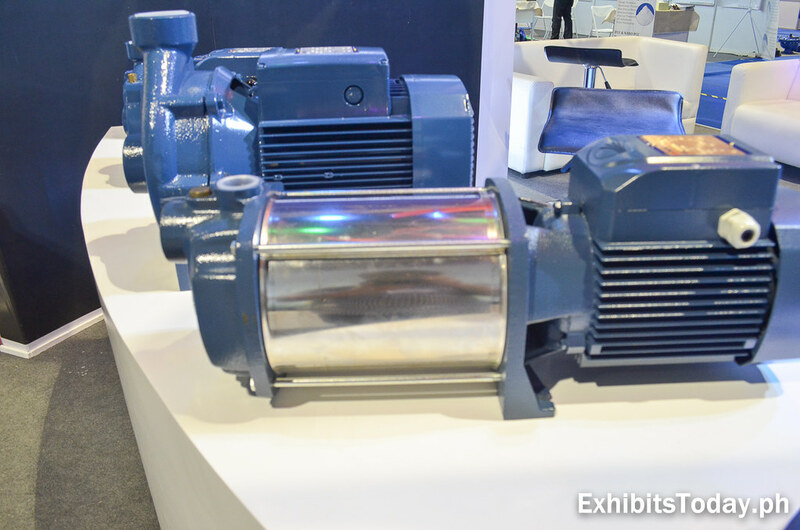 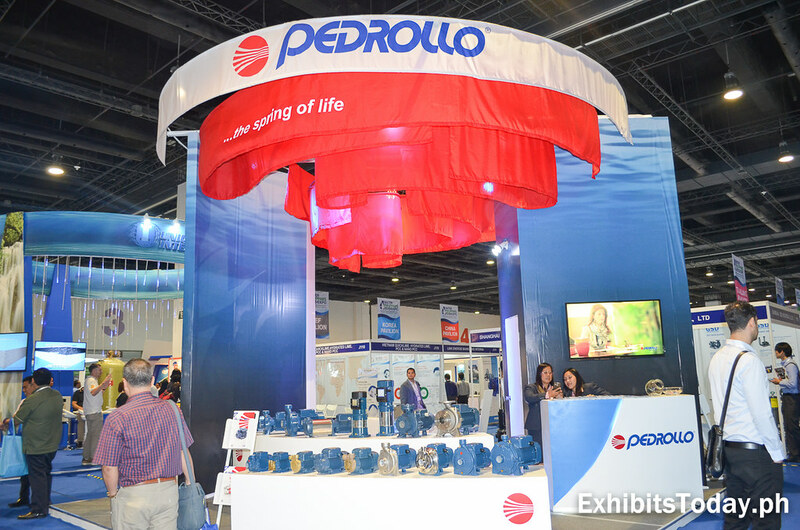 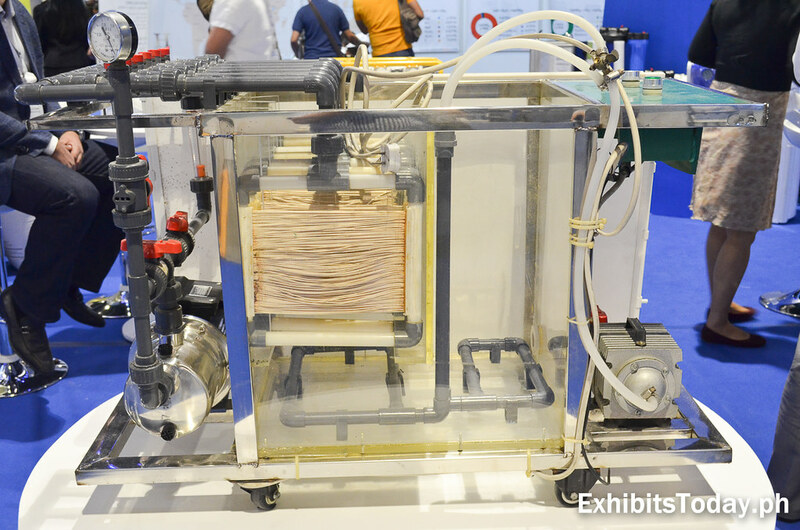 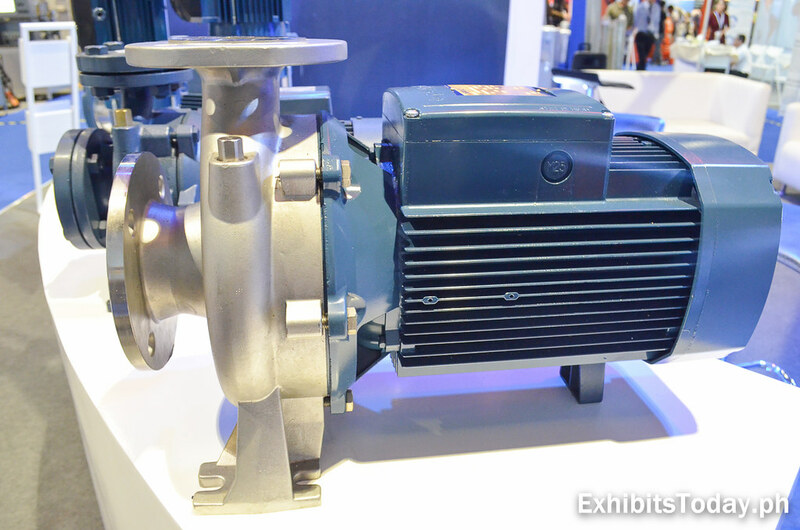 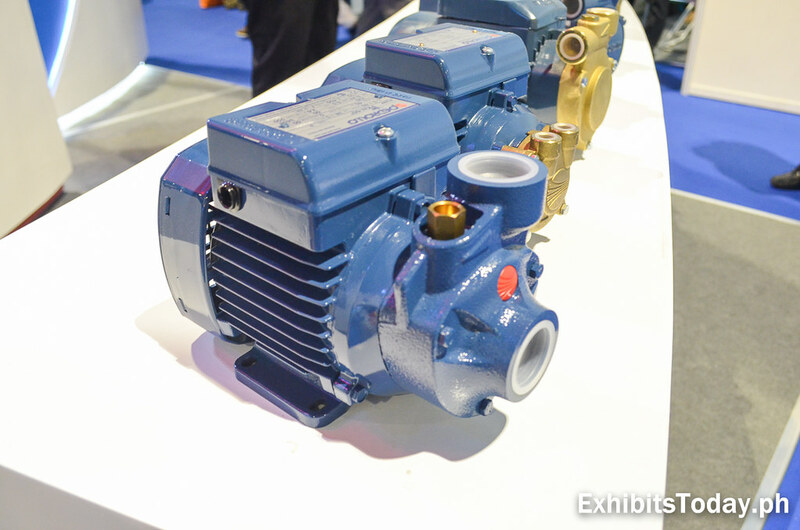 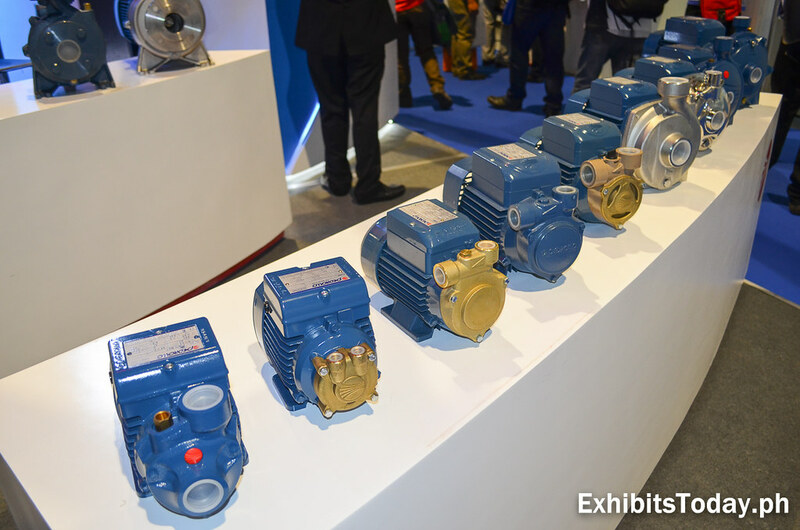 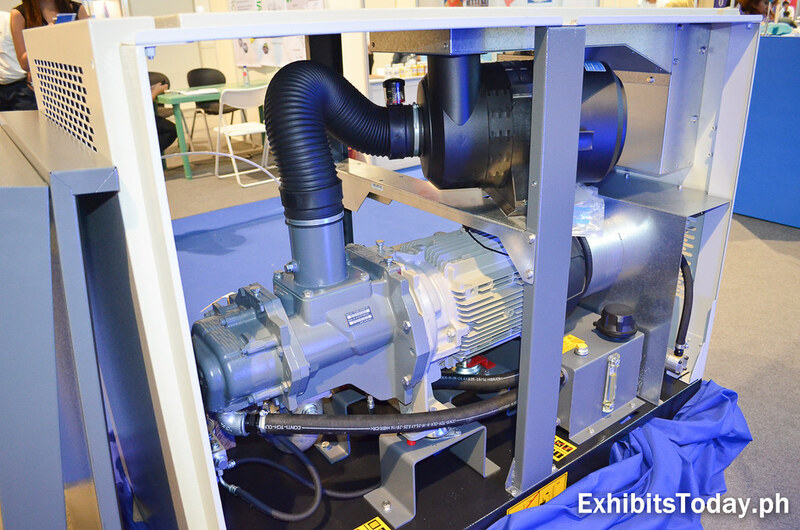 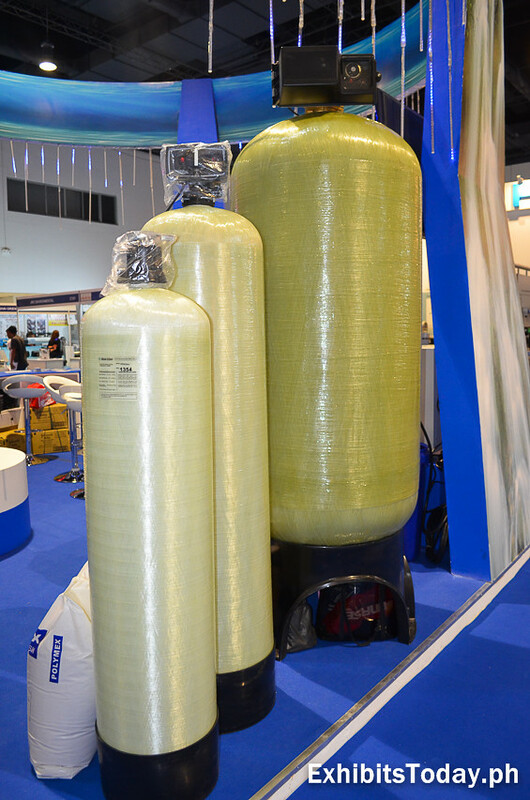 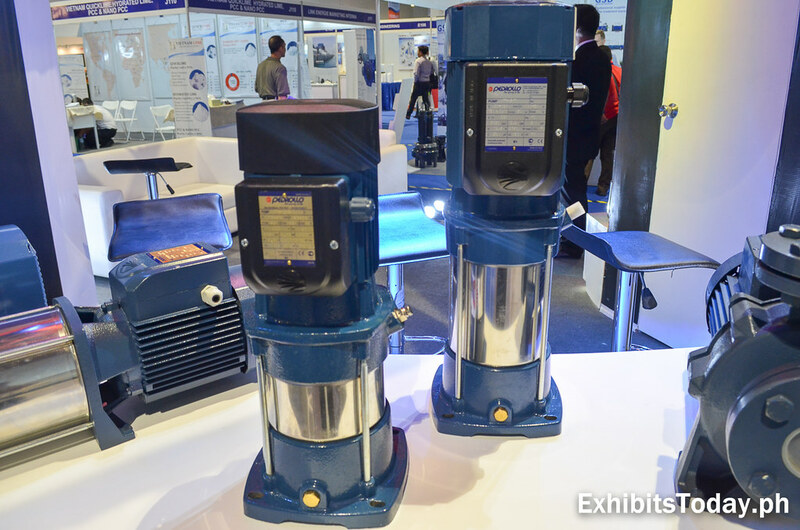 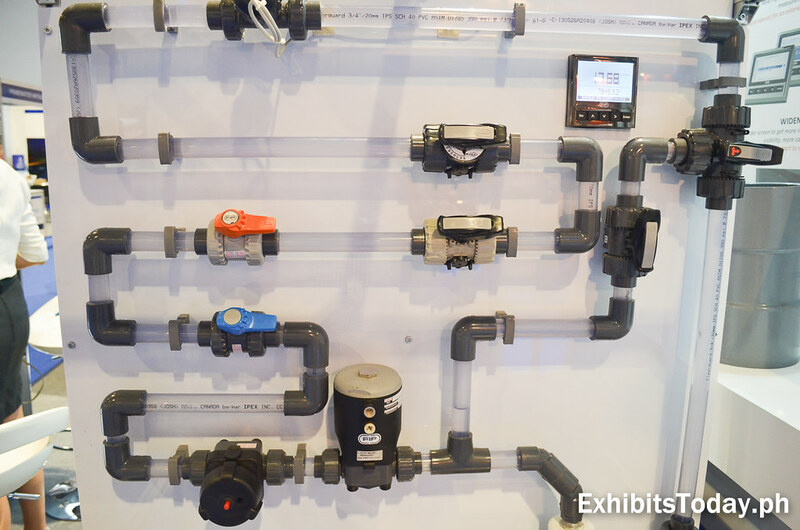 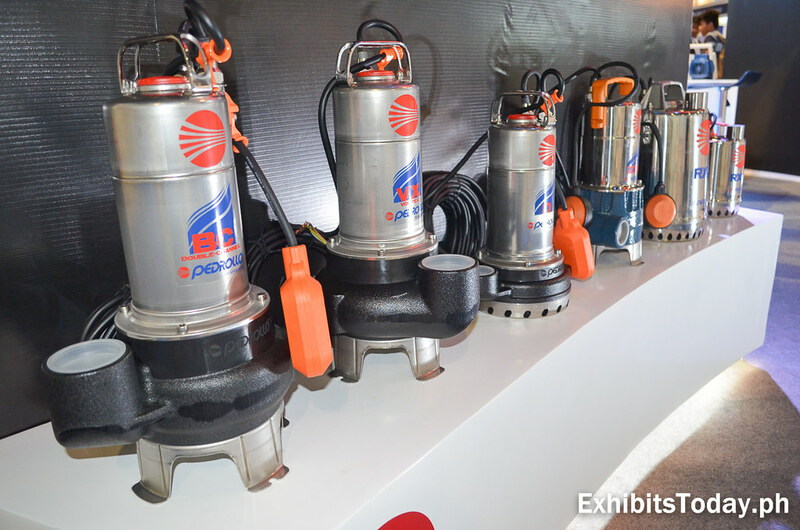 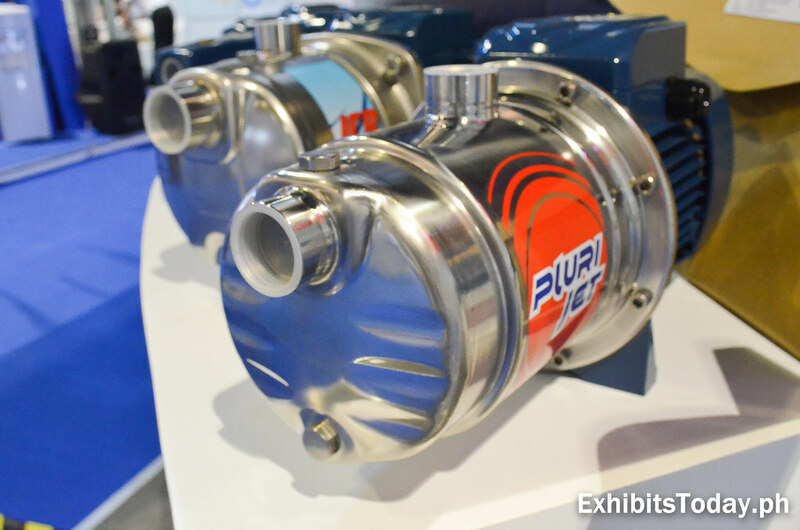 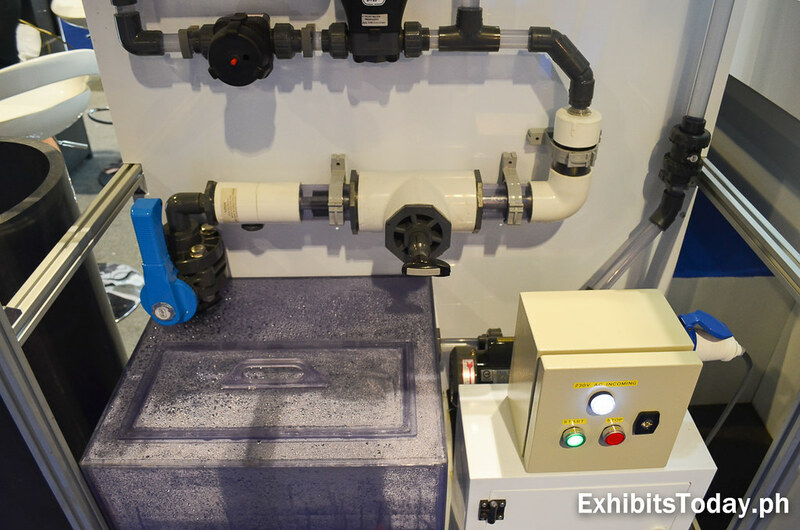 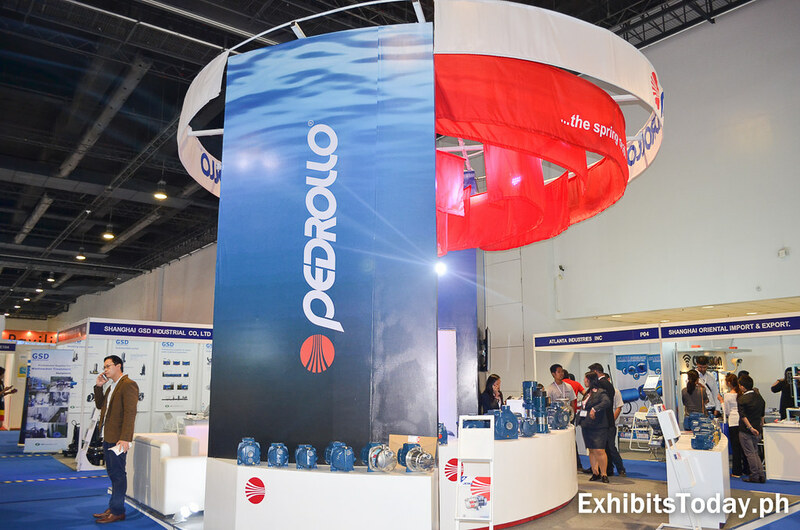 Pedrollo Pumps, a 40-year strong company originally from Italy, showcased their wide range of high-end pump series under a gigantic fabulous trade show display using their flagship colors. 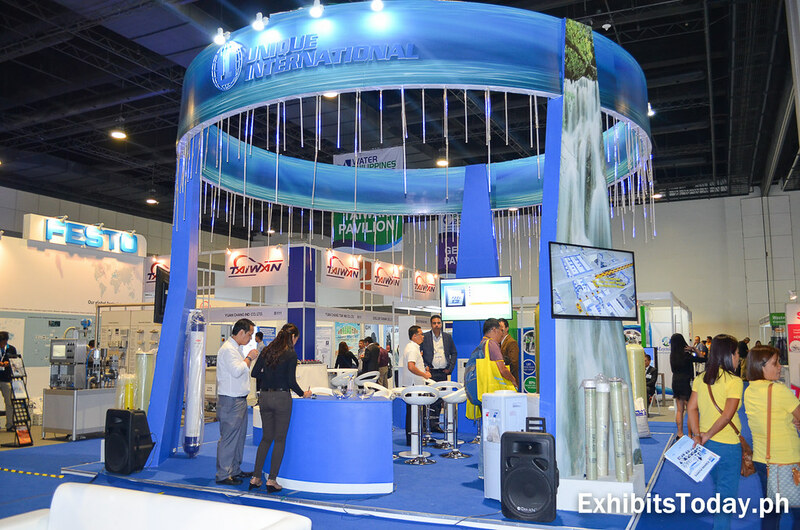 Unique International Export Co. also makes their presence felt with their tall blue circular trade show display dashed with meteor lights. 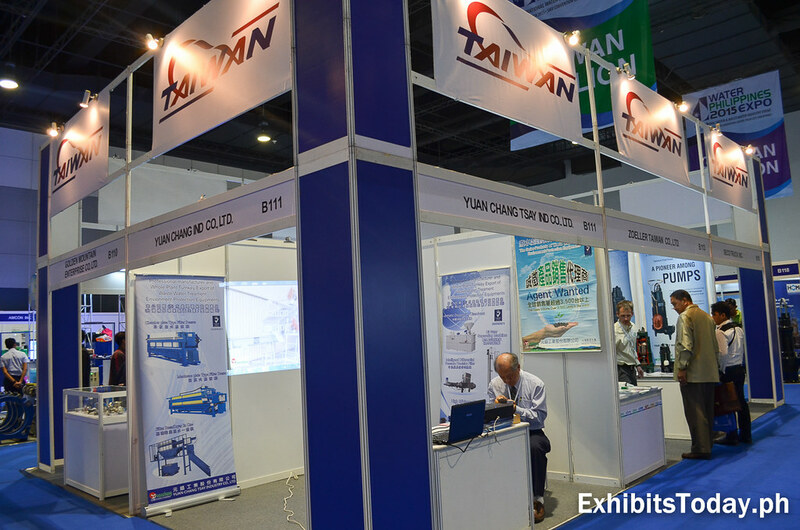 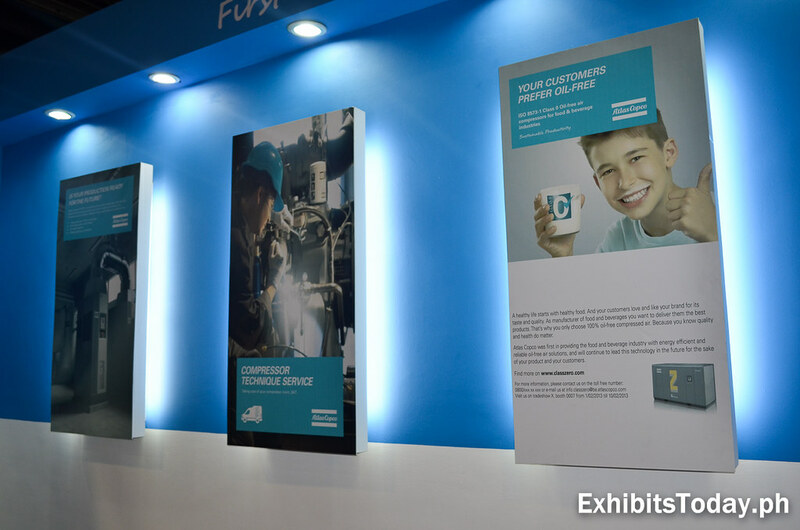 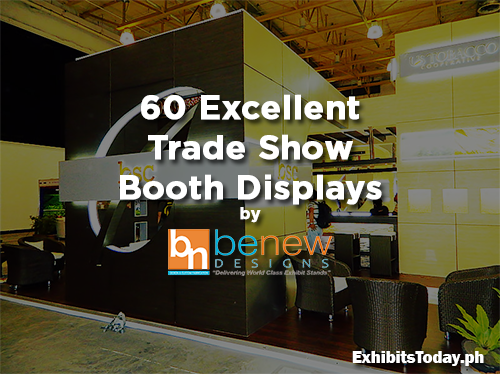 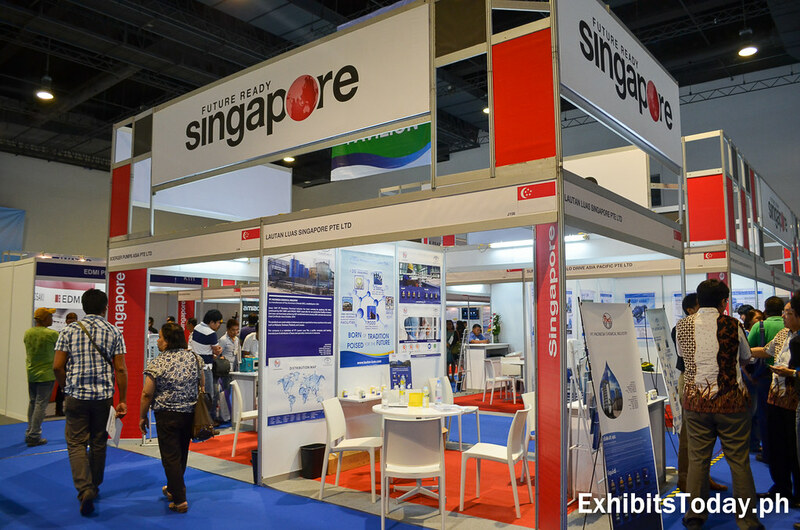 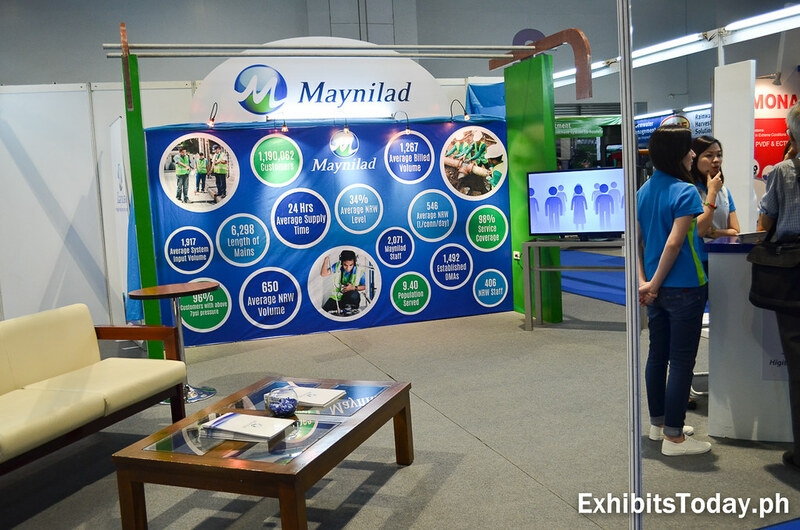 This exhibit stand is also designed and constructed by Swedish Designs Exhibitz team. 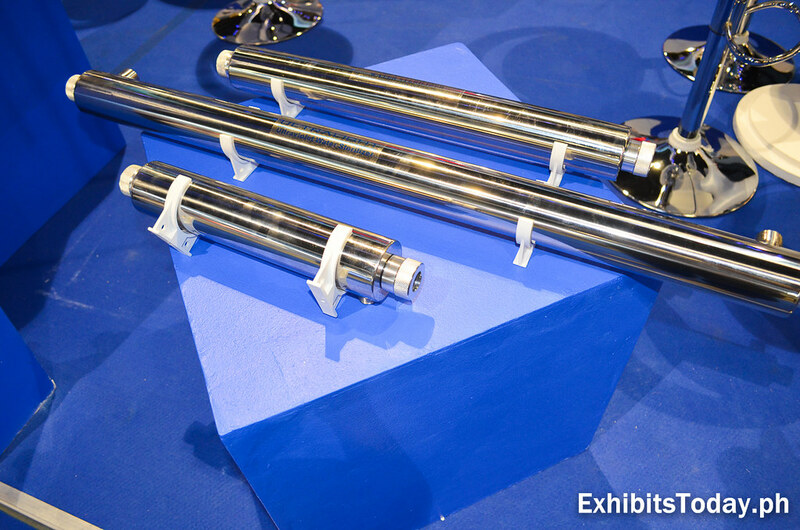 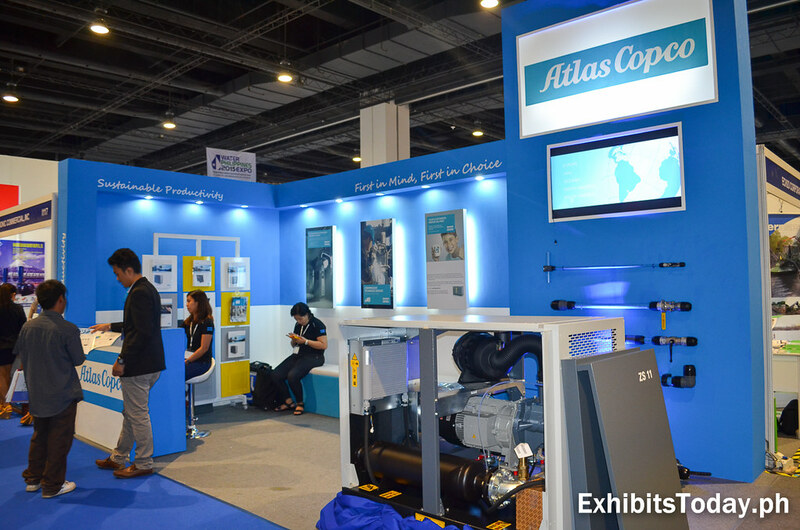 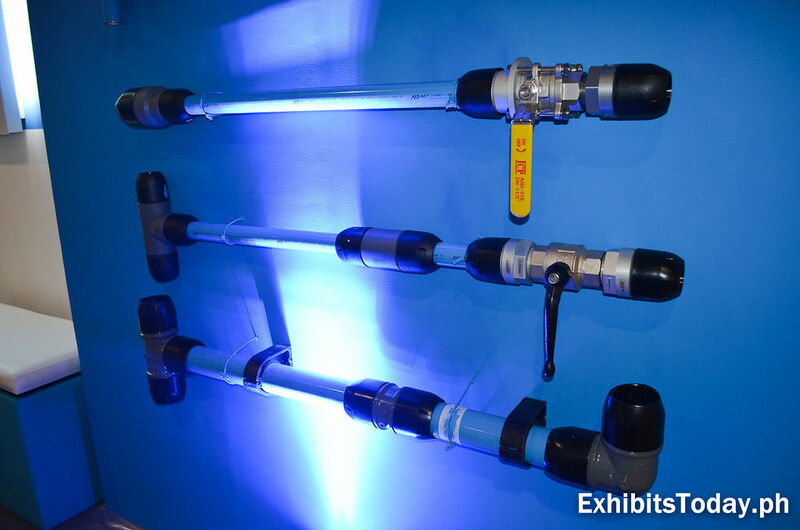 A leading manufacturer of industrial tools and equipment, Atlas Copco exhibit a sample of their equipment along with water piping rods. 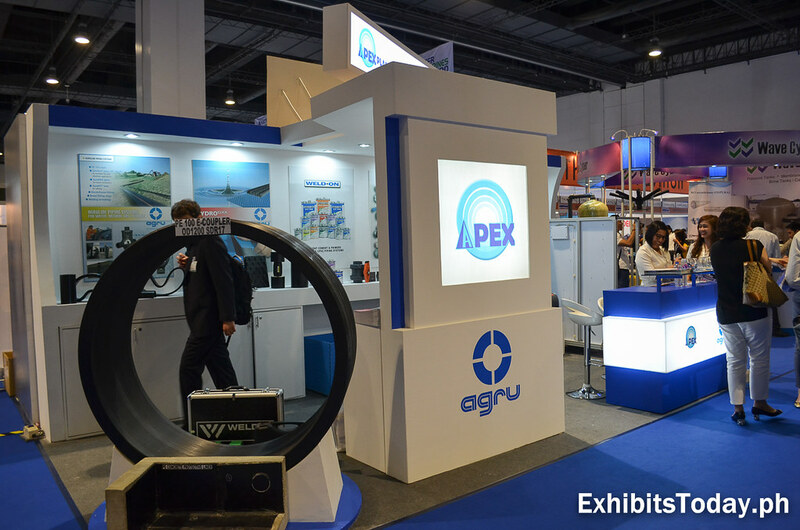 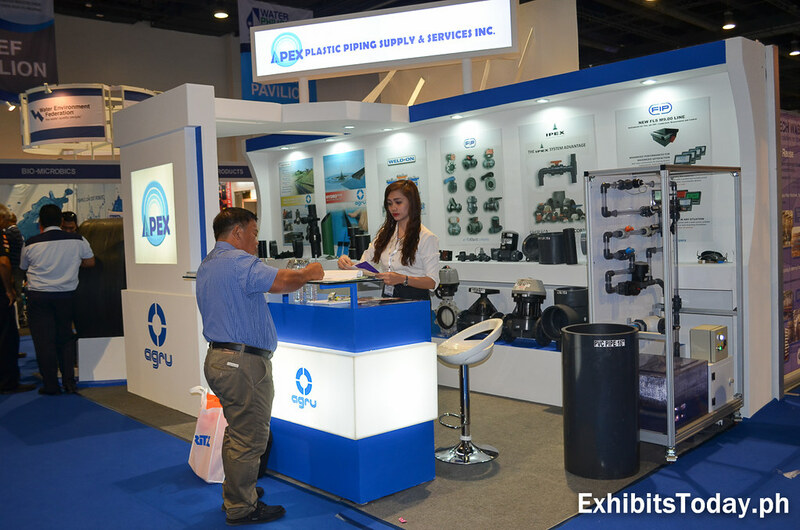 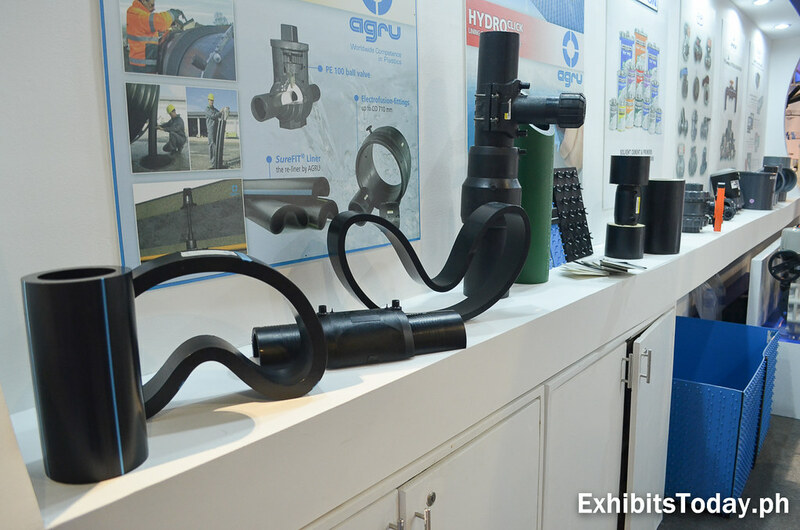 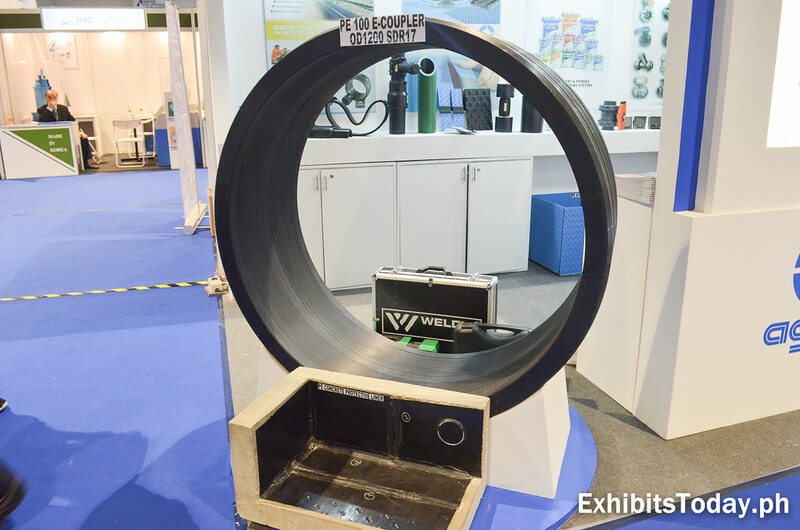 Apex Plastic and Piping Supply and Services show offs a variety of their imported plastic piping materials including the large diameter e-coupler. 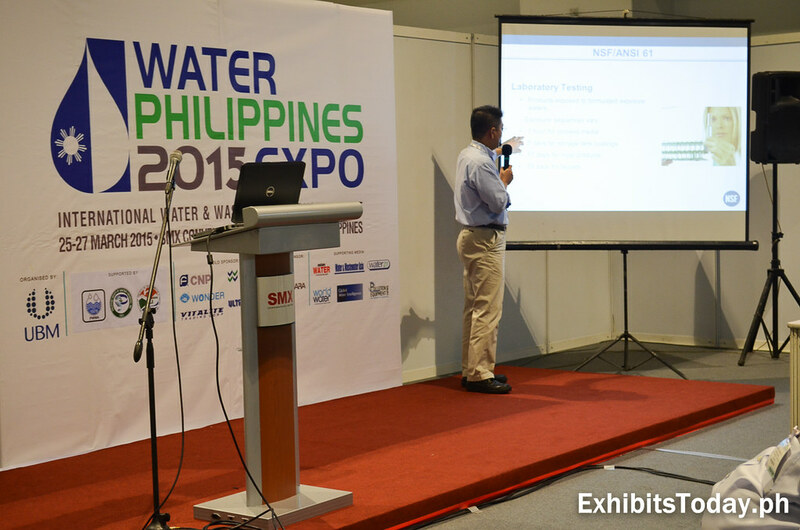 A technical seminar is conducted at the conference room. 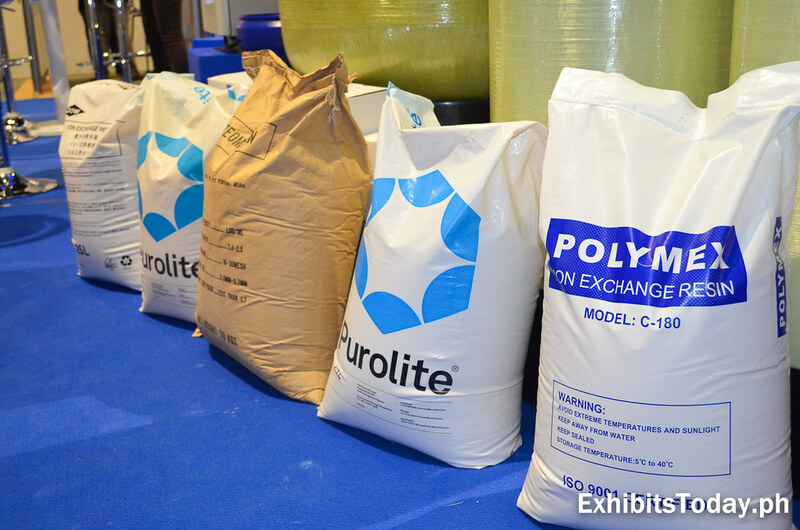 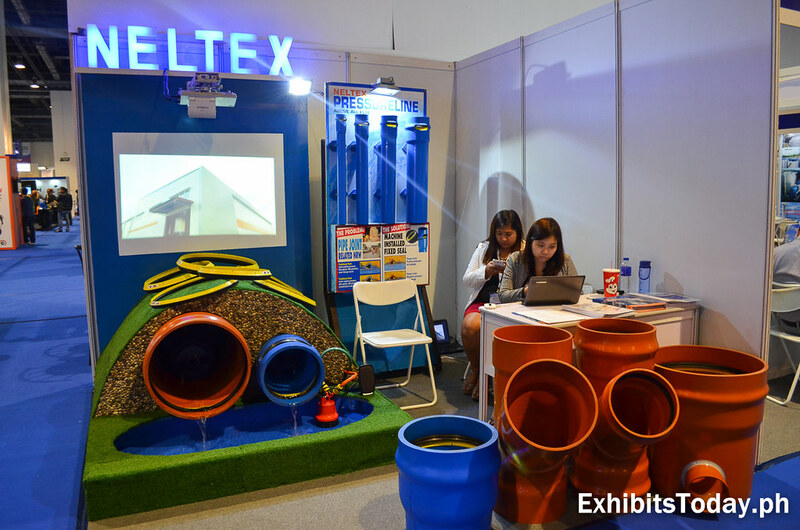 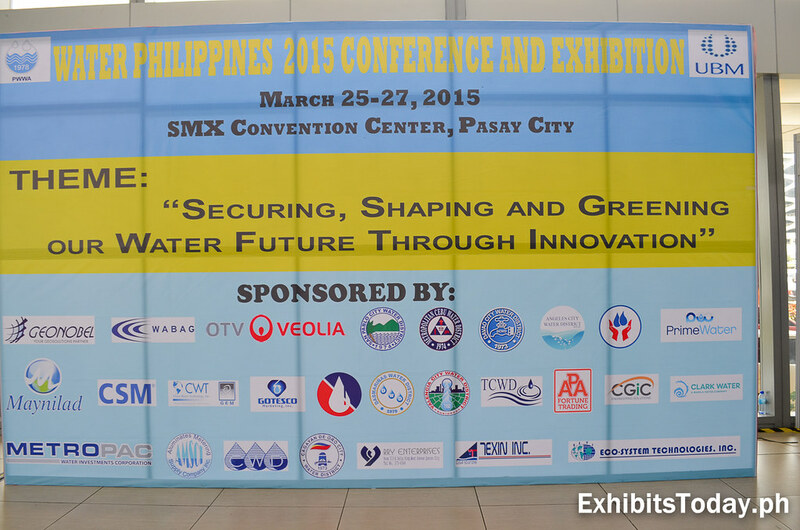 Hat tip to the team of UBM for successfully organizing this 3rd edition of Water Philippines Expo!